-NOTE- This is a large adult beanie. If you normally can wear child-teen size (like me), this hat will be slightly too big. You may want to shorten the hat 1-2 rows. 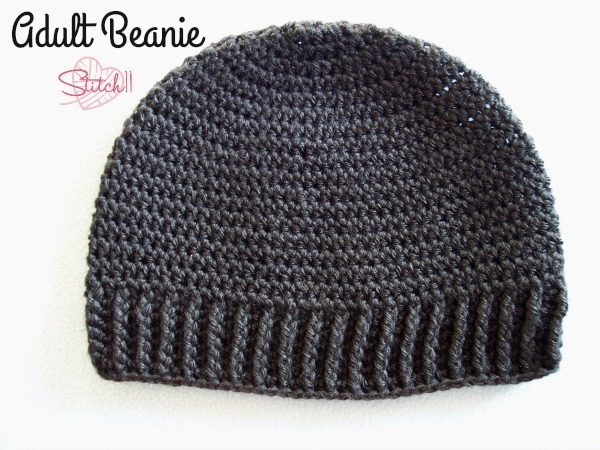 Be sure to still do the very last row, as it tightens the bottom of the hat for a comfortable snug and stretchy fit. 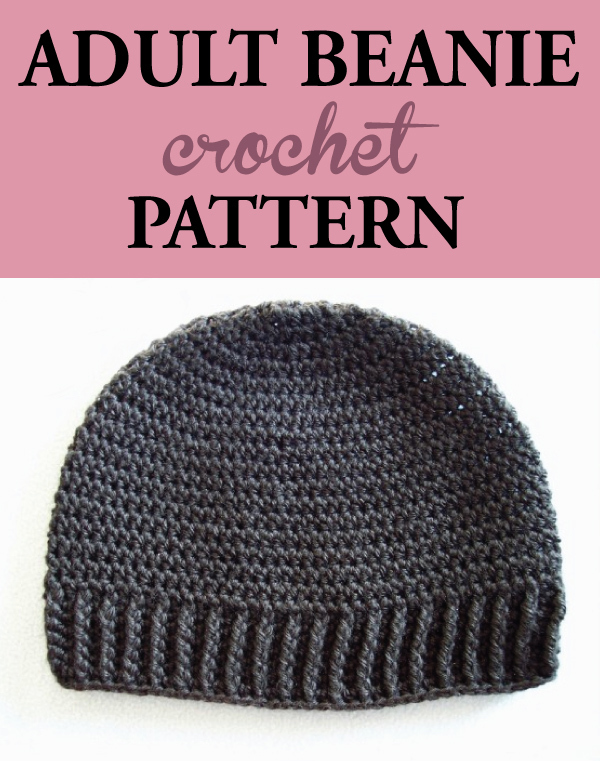 –NOTE- If you love the design of this hat, but want a child size, use the beanie pattern for THIS HAT! Round 26: CH 1. FPSC into each stitch around. Join to the first stitch. Finish off and weave in your ends. Ha! I am sorry. For some reason my mind decided to skip that number. The pattern didn’t change but I corrected the row number. Thank you! hello and thank you for the pattern, i am making a 70 stitch hat so i wanted to know if i should follow the same pattern or if it changes starting from round 11. thank you again. thank you. i finished the hat and it worked up very well. I’m so glad you noticed! That should read HDC 78. Just updated the pattern. Thanks again! Thank you for this pattern and the subsequent corrections. I used your beanie pattern as a starting point for an earflap hat for my husband and he loves it. I love that the pattern works up in the round not leaving a visible seam. Is this in US terminology or UK? Wow I have finally found a pattern thats fits PERFECTLY on an adult head. Thanks for the lovely pattern and for making my life easier.